The Government’s chief planner Steve Quartermain has confirmed this week that the revised NPPF will be published before the end of the year. To what extent will it reflect the proposed changes set out in the previous Government’s ‘response to consultation’ document that was published alongside the February 2017 housing white paper and to what extent will it take on board any changed political priorities since the June 2017 election or indeed various inherent uncertainties and ambiguities which have continued to occupy the courts? I have previously blogged as to the Supreme Court’s ruling in Suffolk Coastal, which resolved (by way of a judgment of Solomon in which all parties, by operation of unexpected judicial reasoning, both won and lost) the question as to how the paragraph 14 presumption applies where there is no five year supply of housing land. The Court of Appeal in Barwood Strategic Land II LLP v East Staffordshire Borough Council (30 June 2017) has now resolved the question as to the presumption in favour of sustainable development applies in the mirror image position, where there is a five year supply and where the plan is not in other respects out of date. The question that has exercised the courts in a series of cases is whether the presumption applies outside these specific instances, for example even where a scheme is contrary to an up to date plan. Lindblom LJ followed the approach taken by Holgate J in Trustees of the Barker Mill Estates v Test Valley Borough Council (25 November 2016) in finding that is no freestanding presumption in favour of sustainable development outside para 14. What is the extent of the setting of a listed building for the purposes of assessment of harm? In Steer v Secretary of State (Lang J, 22 June 2017) the main issue was treatment by an appeal inspector of the impact that proposals in Allestree, Derbyshire, for residential development and associated development would have on the landscape character of the area and heritage assets, namely Kedleston Hall (a grade 1 listed building), Kedleston Park (a grade 1 listed park), Kedleston Conservation Area, Kedleston Hotel and Quarndon Conservation Area. The Council, Historic England, the National Trust and others had opposed the appeals on the basis that whilst the proposed development was at some distance from, and would not be visible from the assets, there were historic and social/economic connections between the areas which meant that the appeal site was properly to be regarded as within the setting of the listed hall and park. Lang J concluded that the inspector adopted an unlawfully narrow approach when determining whether the appeal site was part of the setting of Kedleston Hall and misdirected himself that a visual connection was necessary or determinative, in addition to the evidence of a historical connection. In reaching her conclusion it is interesting to see the reliance that Lang J places on Historic England’s good practice guide on the setting of heritage assets. Hayes v City of York Council (Kerr J, 9 June 2017) concerned a planning permission granted by York Council for the construction of a visitor centre at the base of the motte at Clifford’s Tower in York and the installation of a new staircase and tower floor, with walkways, balustrading, a roof deck with a café and other restoration works. A car park next to the site is to be removed. The project includes archaeological works and disturbance to buried artefacts. The case concerned the meaning of paragraph 141 of the NPPF, which states that where heritage assets are lost or partly lost, local planning authorities and developers should make archaeological records publicly available, but “the ability to record evidence of our past should not be a factor in deciding whether such loss should be permitted”. The challenge was brought by a member of the council. One of his complaints was that the council had taken account of a legally irrelevant factor, namely the ability to record evidence of the past. “This difficulty can only be overcome, in my judgment, once it is recognised that a non sequitur crept in when PPS 5 replaced PPS 16, and then found its way into the language of NPPF paragraph 141. In my judgment, the last sentence of that paragraph only makes good sense if interpreted so that the words “should not be a factor” are taken to bear the meaning “should not be a decisive factor”, in deciding whether the harm to the asset should be permitted. Kerr J rejected paragraph 141’s “literal interpretation in favour of a sensible and liberal construction of the paragraph in its proper historical context“. So, three recent examples of the way in which the courts embark upon interpreting policy (whether national or local) and its application, consistent of course with the Supreme Court’s approach in Tesco Stores Limited v Dundee City Council (21 March 2012) that “policy statements should be interpreted objectively in accordance with the language used, read as always in its proper context. Despite the reference to interpreting policies “objectively”, it will be seen that the courts will draw upon context, previous gestations of guidance and extraneous guidance documents to assist them. Sometimes, as in Hayes, the strict meaning of words will be stretched in a way that potentially leads to uncertainty. I agree! Let’s aspire to use words precisely, whether in the drafting of policies, permissions or indeed agreements, rather than relying on the courts as a slow, expensive and unpredictable backstop. 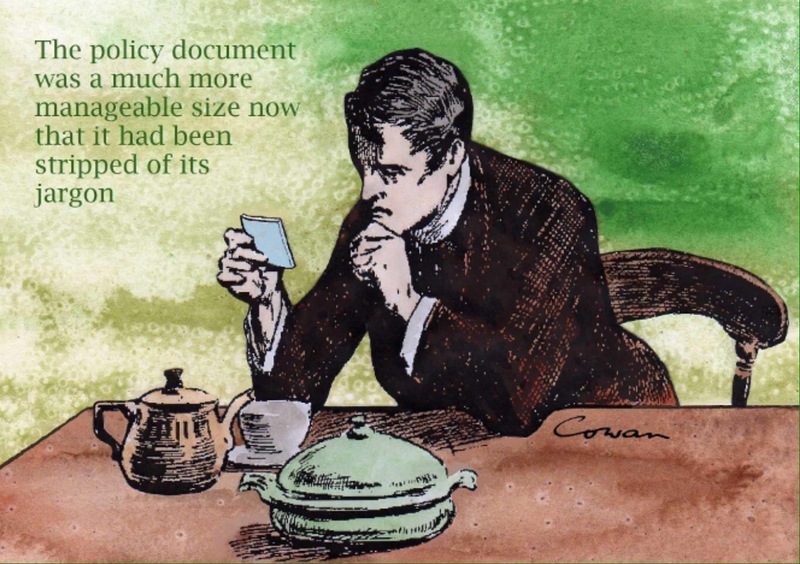 And given their broad effect, surely policies ought to be written even more carefully than contracts? Trees stir emotions. Dwarfing us in their scale and their natural lifespan, they are integral to, define and inspire our built and natural landscapes. Their leaves connect us with the changing seasons. But they can be inconveniences: their roots, their debris, sometimes even their very presence. 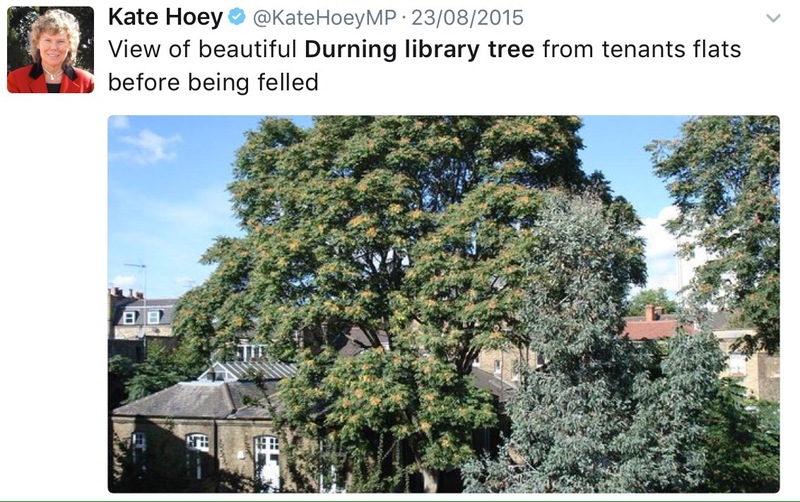 Who would spend £1m litigating over problems alleged to arise from a single lime tree in a suburban London Street? This is a recent piece from The Lawyer. HHJ Edward Bailey’s 29 July 2016 county court judgment refusing the owner of the tree (a subsidiary of Grainger Trust plc) access over the neighbouring lawyer’s property (because the answer is of course a lawyer) under section 1 of the Access to Neighbouring Land Act 1992, to prune it, runs to 27 pages. All of the papers relating to the litigation, including transcripts and evidence, are at www.disputewithgrainger.com, a website created for the purpose by the neighbour. A £100,000 interim payment on account of his costs was due to be paid by Grainger yesterday. Sets the bar pretty high for future neighbour disputes it must be said. Where does the line of least resistance lie where a local authority’s PFI contractor faces increased highways maintenance costs due to the presence of trees? Sheffield City Council, abetted by its contractor Amey, has been engaging in a systematic programme of tree felling and replacement along its highways. A somewhat speculative challenge was brought to the process by local residents in R (Dillner) v Sheffield City Council (Gilbart J, 27 April 2016), following an interim injunction that was granted at short notice. “Sheffield is one of the great cities of Northern England. Parts of it lie within the Peak District, which abuts its western aspect. It lies where several rivers and streams (the Rivers Don, Sheaf, Loxley, Rivelin, and Porter, Meers and Owler Brooks) flow eastwards off the Pennines. Many of its roads and streets (and especially in the suburbs running westwards and south-westwards from the City Centre) have trees planted along them, in the verges or other land within the highway. Like many of the great cities of the north of England, it suffered during the deindustrialisation of the late 20th Century and the financial stringency endured by local authorities over the last 30 years or more. The upkeep of its roads and streets were not immune to the testing climate that created for local authorities, and a backlog of maintenance developed. It is in the nature of highway trees which are well established that they are intrinsically attractive (save in unusual cases), but also that, if allowed to grow unchecked, they cause problems to the proper maintenance of the roads, verges and pavements in which they sit or which they abut. Thus, the loss of a tree may be seen as regrettable in visual terms, but it may be required if the highway is to be kept in repair. The background to this case concerns the way in which Sheffield City Council (“SCC”) has sought to deal with the backlog of repairs, and in particular of how it has dealt with the presence of trees on its roads and streets”. The grounds of challenge followed familiar territory: inadequate consultation; the need for environmental impact assessment, and engagement of the decision maker’s duty to pay special attention to the desirability of preserving and enhancing the character of conservation areas. – “provided the felling or lopping of the tree is carried out in pursuance of [a highways authority’s duty to maintain (and thus repair) [the highway], there is no requirement for consent to fell the tree “. So will Parliament now conduct a root and branch review? Andrew Lainton’s February 2016 blog post, written when the interim injunction was granted, is, as always, worth reading. In determining in the Sheffield case that the decision by an authority to fell a tree does not engage the conservation area special duty in section 72(1) of the Listed Buildings and Conservation Areas Act 1990, Gilbart J had cited R (McClennan) v London Borough of Lambeth (HH Judge Sycamore, 16 June 2014), which concerned Lambeth’s proposals to fell a tree of heaven at the rear of the grade II listed Durning Library building in Kennington Lane, within Kennington conservation area – with the objective, said Lambeth, of preventing structural damage to the listed building. 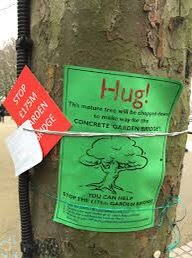 Whilst section 72(1) wasn’t engaged, the judge held that Lambeth’s cabinet had failed to take into account a material consideration, namely that the tree was situated in the conservation area. The decision was quashed. Lambeth subsequently carried out public consultation but I think I know where the tree has gone. is the address in Wrotham, Kent of a caravan site which has been the subject of a TPO saga. Following the felling of various protected trees, enforcement proceedings were brought and court action was settled on the basis of an undertaking given by the defendants to cease the felling. The felling resumed, the council started proceedings for contempt of court and the defendants applied to release the undertaking, on the basis that they could fell the trees in reliance on a 1983 planning permission for “development … and continuation of use of land as caravan site”. The question that came to the Court of Appeal in Barney-Smith v Tonbridge and Malling Borough Council (Court of Appeal, 9 December 2016) was whether the exemption from the need for consent, where felling was “immediately required for the purpose of carrying out development authorised by” a planning permission, was satisfied. The court, not unsurprisingly, held that the answer was no – even though the planning permission could have been implemented in such a way as would have necessitated the tree felling, it could be implemented in a manner which left the trees untouched and therefore the exemption did not apply. 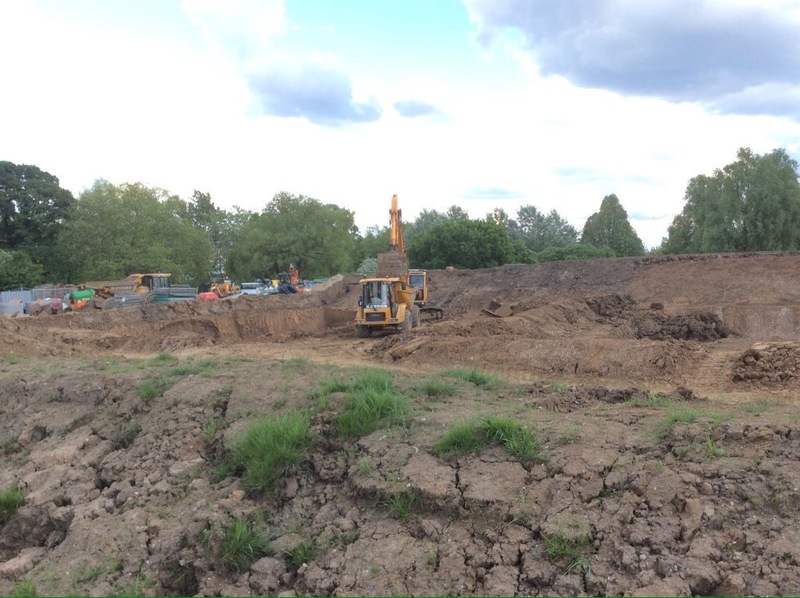 R (Heath & Hampstead Society) v City of London (Lang J, 28 November 2014) concerned the Hampstead Heath dam project, the decision by the City of London to approve and proceed with proposals for reservoir safety works to the ponds on Hampstead Heath. The claimant regarded the proposed works which would entail the loss of over 80 trees, as “damaging, unnecessary and over-engineered”. But Lang J held that the only legal consideration under the Reservoirs Act 1975 is public safety and that the works would not be in breach of the restrictions in the Hampstead Heath Act 1871 which requires that the City of London shall forever keep the Heath “unbuilt on” as they would fall within exceptions for drainage and improvement. Whatever your religion or non religion, enjoy the break (if I don’t blog again in the meantime). In the US, the constitutional status of the Christmas tree reached the US Supreme Court in Court County of Allegheny v. American Civil Liberties Union (3 July 1989). 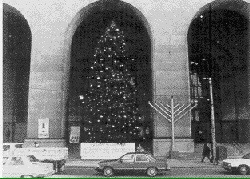 The combined display outside local authority offices of a Christmas tree, Menorah and sign saluting liberty was sufficiently secular so as not to offend the establishment clause in the First Amendment of the constitution, as opposed to a nativity scene inside a court building, which was held to be unlawful. What would the Daily Mail have to say about any UK Supreme Court justices who made such a ruling one wonders? I gather that since then the US Supreme Court has remained decidedly unfestive – according to one US commentator it has since declined to intervene in cases concerning: a Menorah and Christmas nativity scene combined with Frosty the Snowman and Santa Claus; an attempt to have Christmas decertified as a federal holiday, and efforts to allow Christmas music to be played over the intercom at public schools. What’s a lawyer to do? The High Court rises on 21 December and the new term starts on 11 January. Oh well, put another log on the fire. Heritage Law Update: What Goes Around Comes Around? A brief update on what has been happening in heritage law over recent months. First, aptly, some old news. Section 66(1) requires decision-makers, in “considering whether to grant planning permission for development which affects a listed building or its setting” to “have special regard to the desirability of preserving the building or its setting or any features of special architectural or historic interest which it possesses”. Section 72(1) requires decision-makers with respect to any buildings or other land in a conservation area to pay “special attention…to the desirability of preserving or enhancing the character of that area”. The NPPF has advice on heritage decision-making at paragraphs 132 to 135. – in the event of any finding of substantial harm, taken into account the NPPF advice that consent should be refused “unless it can be demonstrated that the substantial harm or loss is necessary to achieve substantial public benefits that outweigh that harm or loss” or at least one of four specified criteria are met (para 133, NPPF). – in the event of any finding of less than substantial harm, given “considerable importance and weight” to that finding (a “strong presumption against planning permission being granted” (Lindblom J in Forge Field), giving greater weight to other considerations, weighing “the harm against the public benefits of the proposal, including securing its optimum viable use (para 134, NPPF). “Sullivan LJ’s comments….were made in the context of a decision letter which positively gave the impression that the inspector had not given the requisite considerable weight to the desirability of preserving the setting of the relevant listed buildings, where as a result it would have required a positive statement by the inspector referring to the proper test under section 66(1) to dispel that impression”. – R (Blackpool Borough Council) v Secretary of State 9 May 2016, where Kerr J found on the facts that an inspector had failed to apply the NPPF tests in the case of proposed major works that the inspector concluded would cause “little harm” to the special architectural or historic interest in a listed synagogue, including there being, as in Barnwell, a series of signposts in the decision letter that led to the judge’s conclusion. – Boden v East Staffordshire District Council 27 May 2016, where Coulson J found on the facts that errors in articulating the NOPF test (including the common one of describing harm as “minor” without explaining where that sits on the harm/substantial/less than substantial spectrum) did not vitiate the council’s decision. So we still need to be alert for signs that the right tests haven’t been applied but there is again room for common sense. Barnwell, Forge Field and Mordue all refer back in their discussion to Save Britain’s Heritage v Number 1 Poultry Limited  1 WLR 153, HL, the leading case on the standard of reasons to be expected where a planning decision is taken granting permission for development which has a detrimental impact upon listed buildings. The then Secretary of State had overturned an inspector and approved Peter Palumbo’s redevelopment scheme designed by James Stirling which entailed the demolition of eight grade II listed buildings (I remember them well, just across the street from the Cheapside branch of Our Price records). A challenge by Save Britain’s Heritage was rejected by the House of Lords: any inadequacies in the Secretary of State’s reasoning were not such as to substantially prejudice potential objectors in that they did not give rise to substantial doubt that the decision had been made on relevant grounds – a high hurdle for an objector to clear. The Stirling scheme was completed in 1997. Scroll forward to 2016 and the new owner of the building is wishing to make some changes to its lower levels. In response, Lord Palumbo, the Twentieth Century Society and others have been lobbying for the 1997 building to be listed. Historic England recommended a grade II* listing last year which was rejected by Secretary of State for Culture, Media and Sport John Whittingdale in December 2015, relying on the Government’s policy that buildings under thirty years old should normally only be listed if they are of “outstanding quality and under threat”. 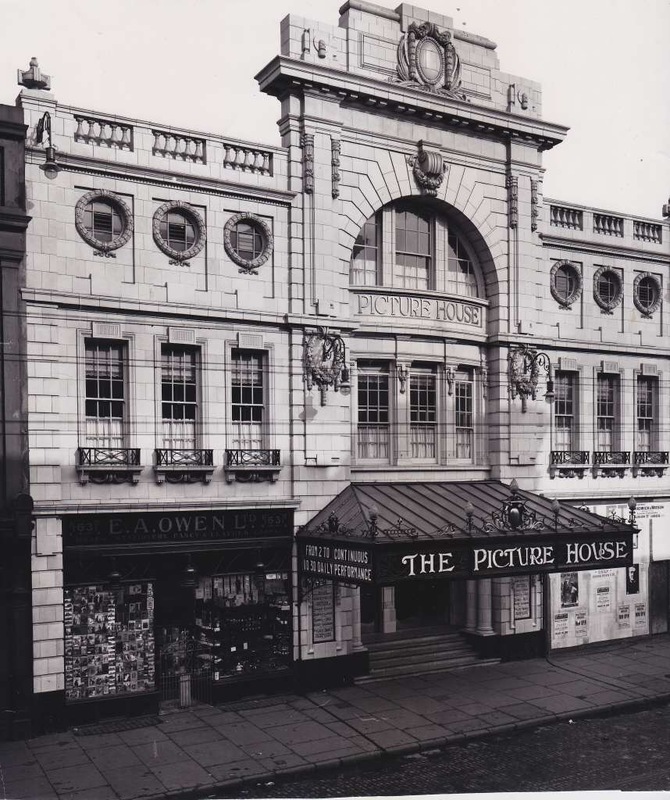 The Twentieth Century Society appealed and to everyone’s surprise Whittingdale indicated last month that the decision is to be reviewed, acknowledging that it may be appropriate to list a building which is under thirty years old if it is of special historic or architectural importance even if it does not meet the “outstanding quality and under threat” tests. The decision is now in the in-tray of his successor Karen Bradley. In the meantime, planning permission for amendments to the ground floor of the building was resolved to be approved in March by the Corporation of London. We await the Bradley’s decision, as no doubt do the owners of other high profile modern buildings. And, if the decision is not to list, giving five years’ automatic listing immunity, the failed challenge of the decision not to list Pimlico School, brought by its architect John Bancroft (2004 EWHC 1822), suggests the likely outcome of any judicial review. UNESCO’s World Heritage Committee lists places of special cultural or physical significance. One of those is the Liverpool – Maritime Mercantile City World Heritage Site. 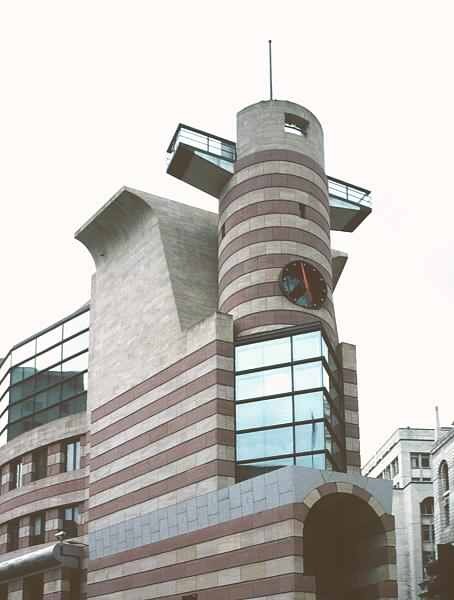 25 years after the No 1 Poultry case, Save Britain’s Heritage is of course alive and kicking. On 2 August 2016 the Court of Appeal in Save Britain’s Heritage v Liverpool City Council rejected their challenge to planning permission for a scheme in Lime Street, Liverpool. Save argued that the Council had breached the World Heritage Committee’s operational guidelines as well as the Government’s Planning Practice Guidance which require a council to consult with DCMS and via DCMS with the World Heritage Committee in the case of any proposal which may affect the “outstanding universal heritage” of a world heritage site. Save’s position was that the duty did not just apply to proposals that may have an adverse effect, but proposals that may have any effect, negative, neutral or indeed positive. Lindblom LJ disagreed: the proper interpretation could only be “adverse effect”. This is of course not the only controversial issue facing the Council in relation to its world heritage site status. As is recorded in the judgment, in view of its “serious concern at the potential threat of the proposed development of Liverpool Waters on the Outstanding Universal Value of the property”, the huge scheme by Peel Holdings, the World Heritage Committee in 2012 decided to inscribe the site on its List of World Heritage in Danger. By way of international perspective on the focus that world heritage site status can bring to issues that go well beyond issues of architecture and built heritage a 25 July 2016 Eco-Business piece describes the impacts of climate change and fossil fuel emissions of sites such as the Great Barrier Reef and a 26 July 2016 article in the Straits Times describes the pressures faced by China’s sites. Finally, back to domestic law – the redevelopment of a disused bowling green in Bexhill-on-sea for a sheltered housing development. The Court of Appeal in R (Loader) v Rother District Council 28 July 2016 quashed the planning permission for the scheme, which would adversely the setting of listed buildings. The Victorian Society had objected to a previous scheme but were recorded as having been consulted and not objected to the scheme under challenge. The reality was that officers knew that their attempts to contact the Society had failed. The court held that the summary in the report of the Society’s position was seriously misleading: “In the context of the duty in section 66(1) of the Listed Buildings Act, the committee was misinformed on the consultation of a national amenity society, which had been an objector to a similar proposal, and whose views on this application the council had chosen to seek and might have made a difference to its decision”. Author simonicityPosted on August 6, 2016 August 6, 2016 Categories Heritage, UncategorizedLeave a comment on Heritage Law Update: What Goes Around Comes Around?